In your scenario proposition you will be shown a summary of each year in your scenario. Further information on your scenario can be found in the reports tab. 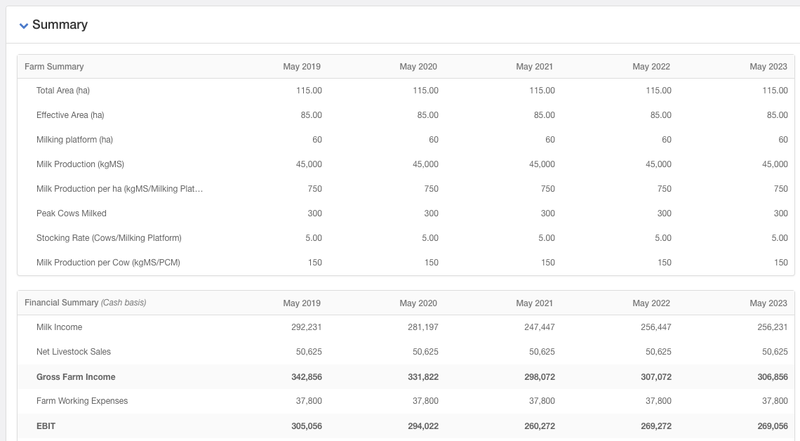 You will have three financial reports available to view, along with the summary, these update automatically as you make changes to your proposition. You're able to export all of these reports as a PDF. To do this, head into the Export part of your scenario and click on the report you wish to export to PDF. Indicators are graphs that provide further visibility around various parts of your scenarios financial position. They are available on your reports page, directly underneath your three financial reports. NOTE: At this stage, indicators cannot be directly exported to PDF.